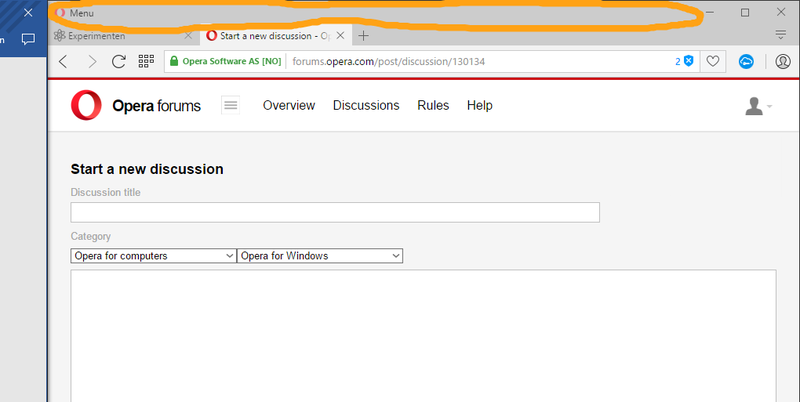 When using Opera in splitscreen, the Menu-icon is taking much more space than i want to. The whole above bar, marked as yellow in the below image, is useless then. Can this be fixed? Can I hide the Opera menu button in those cases or something? If you use Opera maximised, you won't see it. Yes but i work very often with Opera on the right side and f.e. Word or Excel on the left side. Well, there's no way to change it at the moment.